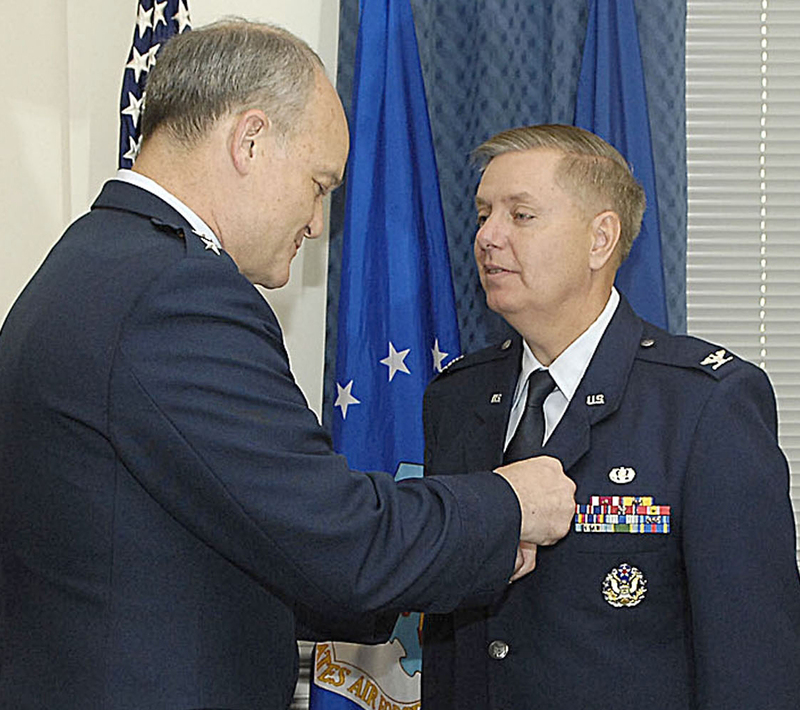 Sen. Lindsey Graham, R-South Carolina, is hanging up his Air Force blues. Graham, who has served as a judge advocate general in the Air Force Reserves since 1995 and had previously been on both active duty and the South Carolina Air National Guard, is turning 60 this summer, and hitting the mandatory retirement age. “Although I would cherish the opportunity to continue to serve, I know that the time has come for me to end my service and transfer to the retired reserves,” Graham, a colonel and senior individual mobilization augmentee to the judge advocate general, said in a statement today. Graham, in 1984, received an Air Force Commendation Medal and was featured on a 60 Minutes piece for his role in uncovering problems with Air Force drug testing procedures at Brooks Air Force Base, Texas. While in active duty, Graham was assigned for four years to Rhein-Main Air Force Base, Germany. While in the Reserves, Graham served during congressional and holiday breaks, including short-term duty in Iraq and Afghanistan, according to a statement from his Senate office. Graham is retiring June 1, while he is also eyeing a White House bid. Fellow Air Force veteran, Former Texas Gov. Rick Perry, is also expected to announce his bid for the GOP nomination. Perry joined in 1972 and served as a C-130 pilot assigned to Dyess Air Force Base.